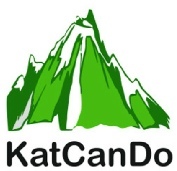 KatCanDo has been nominated by Tormead School’s (Guildford) PTA to be a one of the beneficiaries of money Raised Throughout the Year from Various Events They Hold Including Raffles, Heads & Tails Games Etc. Another successful show with a complete sellout of cakes and Tombola, raising over £400 on the day. Thank you to all our cake makers and prize donators. Congratulations to David (Arnie) Ambrose of Triland Metals (London) who has raised £2300 through sponsorship for having his shoulder length locks cut off. This amount includes £500 from Triland Metals who Arnie works for. Well done Arnie. KatCanDo has agreed to fund a TEO kit requested by the colorectal consultant surgeons at Frimley Park Hospital. This will allow the surgeons to perform more operations. KatCanDo has also agreed to fund an Oxygen Concentrator and Pressure Relieving Mattress for the Christophers Hospice for children. KatCanDo has been awarded £4,500 from local Frimley company Johnson’s from the SC Johnsons Giving Back Scheme. Held in April at the Mytchett Community Centre with the Hogs back Band playing and pizzas from Della Nonna. The evening was enjoyed by all and raised over £850. Fashion Show—sponsored by Art of Living. This Was Held at The Stone Gallery and Raised over £1,000 for Katcando. Visit Stone Gallery News for Full Details. KatCanDo has been voted Charity of the Year by local tile and interiors company ‘The Art of Living’ (who will be sponsoring several events throughout the year) and by London-based solicitors ‘Irwin Mtichell’. (who will be raising funds through their own staff events). Our first ever bridge drive was a great success and raised over £2,000 including £ for £ matching from Barclays and a community donation from SC Johnson.